Nova Scotia's Emergency Health Services system has changed dramatically in the last three decades. It's a transformation that Mary Jane Hampton believes should provide a measure of comfort to Nova Scotians. This is part of a series from CBC's Information Morning where Halifax health-care consultant Mary Jane Hampton discusses her "health hacks" — ways to make your experience with the health-care system better. Just four months after arriving in Nova Scotia, Mary Jane Hampton narrowly missed a deadly crash on Highway 104. A car passed her on a turn and veered into an oncoming 18-wheeler, sending three vehicles careening into the ditch. It was 1992 and there was no 911. The truck driver used his radio to call for help and soon an ambulance arrived operated by the local funeral home. Emergency services were very different back then, and Hampton believes their transformation should provide a measure of comfort to Nova Scotians. 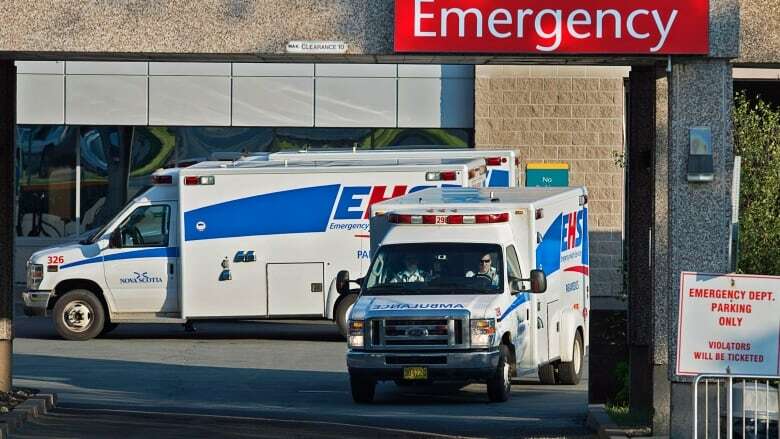 Today, the Halifax health-care consultant calls the province's Emergency Health Services system (EHS) among the best in the world. "I would challenge anyone who says that it's not possible to do big things in health care to look back at that moment," Hampton told CBC Radio's Information Morning. "And it was a brave thing to do because it was a long-established business model that needed to be undone." Back then, it was up to funeral homes and private companies to respond to emergencies. Depending on the day, the vehicles were either used as a hearse or an ambulance. There was no special medical equipment on board and the drivers had no training. "It was a question of scrape and load, and that was exactly the terminology that was used," said Hampton. That all changed in 1994 when EHS was established in Nova Scotia. A quarter of a century later, ambulances are now operated by highly trained paramedics. These "mini hospitals on wheels," as Hampton calls them, can begin treating people right at the scene of an accident. Still, Hampton said there's a great deal of mystery surrounding how EHS actually works because the Canada Health Act doesn't consider the service "medically necessary," and it's not covered by insurance. "However, every province has recognized that having access to ambulance service is kind of key to being able to use the health system. So in Nova Scotia, like every other province, it's highly subsidized," she said. While the true cost of operating an ambulance is roughly $750, said Hampton, patients typically pay $150. For patients from outside of Canada, however, the price tag is closer to $1,100. Hampton said that cost is not due up front; patients are billed after the fact. It's a flat fee no matter the distance or whether someone requires a ground or air ambulance, she said. A couple of years ago, Hampton was involved in an evaluation of how Nova Scotians access EHS. She said she was stunned to learn several people feared calling an ambulance because they couldn't afford it. "So even though they felt in some instances that they were having a heart attack, they would drive themselves to the emergency department rather than call the ambulance. That is never a good idea. Ever," she said, adding there are supports and programs in place to help shoulder some of the cost. However, Hampton said it's important for people to understand that arriving at the hospital in an ambulance doesn't mean you'll be seen first. "It is a bad plan if you just think it's a fast pass to call the ambulance to get you to the emergency department. Your wait will not be any different," she said.